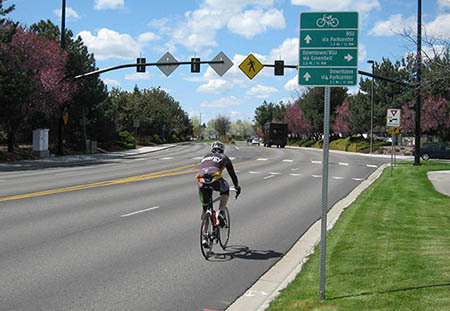 The Ada County Highway District plans for bicycle facilities as part of all of our roadway projects. The District spends up to $2 million, or approximately five percent of ACHD's annual capital budget each year on cycling facilities, primarily in the form of lanes on new or expanded roads. As of early 2015, the county currently has 330 miles of on-street bike lanes, over 400 bicycle wayfinding signs, and dozens of miles of designated bike routes on both highways and neighborhood streets. 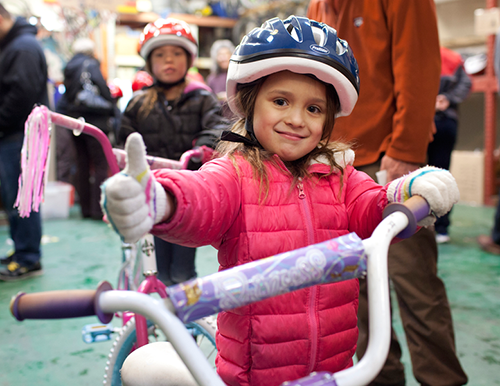 ACHD is continuing its efforts to complete a bicycle facility network that maximizes safety, provides connectivity, and supports bicycling as a viable transportation mode among the road users of Ada County. To assist bicyclists get the most out of the existing road network in Ada County, ACHD has developed an online Bike Map as well as a printed Ada County bike map showing bike facilities, recommended routes, and various destinations, including schools, parks, libraries, and civic facilities. Printed bike maps are available at the ACHD, ACHD Commuteride, and most area bicycle shops.